Pedro the octopus. Games online. 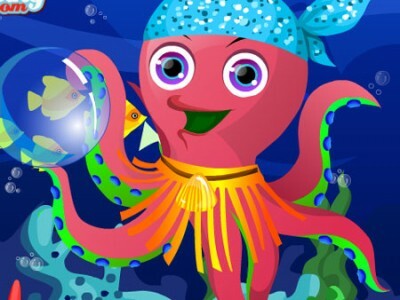 Pedro is a cute little octopus, who lives deep in the ocean. Help him choose the best clothes and accessories so that he can impress all the fish in the sea.